Jeff Fussell is a 1978 graduate of Americus High School. He attended Georgia Southwestern, where he earned an Associates in Applied Science. He also studied advanced electronics at South Georgia Technical College. 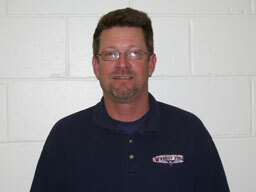 He is a Certified Youth Sports Administrator and a Certified Pool & Spa Operator. He and his wife, Susie, have two children: Kate, who is a registered nurse at Columbus Regional Hospital, and Adam, who is a student at Georgia Southern University. Jeff has been employed at SCPRD for 4+ years. What does he most enjoy about working at SCPRD? "Watching the children of our community grow athletically, physically and mentally. We get to make a positive influence on their lives."